An Egyptian journalist is surprised by “prosperity” enjoyed by select few in Gaza. The problem is distribution of wealth, not blockade. With Hamas telling tales of deprivation and suffering in Gaza, Egyptian journalist Ashraf Abu al-Houl has added his report to others who were surprised to discover a “prosperous” Gaza in which prices are low and luxury businesses are booming. Al-Houl's story of his trip to Gaza and his realization that “in actual terms, Gaza is not under siege” was written up in the Egyptian daily Al-Ahram and translated by the Middle East Media Research Institute (MEMRI). "A sense of absolute prosperity prevails, as manifested by the grand resorts along and near Gaza's coast. 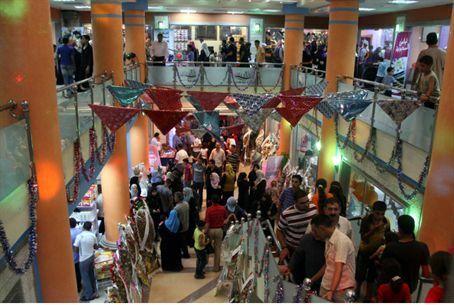 Further, the site of the merchandise and luxuries filling the Gaza shops amazed me,” he reported. Concerned that his initial impression of prosperity may have been misleading, “I toured the new resorts, most of which are quite grand, as well as the commercial markets, to verify my hypothesis. The resorts and markets have come to symbolize prosperity, and to prove that the siege is formal or political, not economic,” Al-Houl said. Gaza's markets are filled with a “plethora of goods,” he wrote. Prices on many items, particularly food, are much lower than they are in Egypt, he said. With goods entering Gaza from both smuggling tunnels to Egypt and humanitarian aid shipments coming in via Israeli crossings, “supply is much greater than demand,” he stated. The evident prosperity is not enjoyed by all, or even most, of Gaza's residents, according to Al-Houl. The problem is the vast differences in the distribution of wealth. The luxury resorts and wide range of consumer goods are enjoyed by “only a few groups,” he said, primarily those who own smuggling tunnels to Egypt and those who work for international organizations such as the United Nations' UNRWA and who do not include or aid the rest of the population. Most of the new resorts “are owned by members, or associates, of Hamas,” he reported. “In addition, the Hamas municipalities charge high fees, in Gaza terms, for the use of public beaches,” he added. Al-Houl quoted political activist Mustafa Ibrahim as saying that while Gaza's rich invest in the leisure industry, 80% of residents rely on UNRWA, and unemployment is approximately 45%. “This creates a distorted picture,” Ibrahim explained.